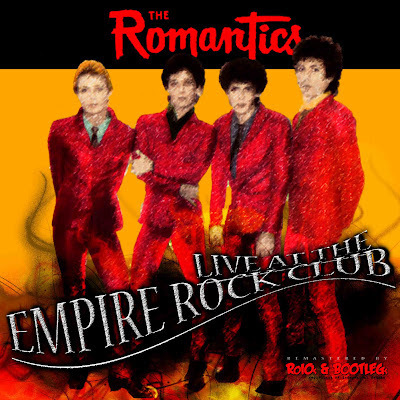 Recorded Live at Empire Rock Club, Philadelphia, Pennsylvania, USA - October 18, 1985. Excellent Soundboard / FM Recording :: CDR :: MP3 CBR 320 kbps & FLAC. Files: 11. :: Size: 102,57 MB (mp3) | 230 MB (flac). Personnel: Wally Palmar – vocals, guitar, harmonica :: Mike Skill – bass guitar, vocals :: Coz Canler – guitar, vocals :: David Petratos – drums, percussion, vocals. This is a Master Cassette Recording of A show at the Empire Rock Club. This Was Broadcast On Philadelphia Radio Station 93.3 WMMR. 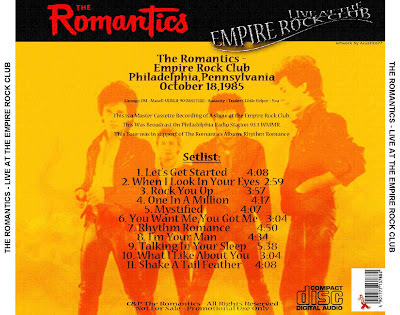 This Tour was in support of The Romantics Album: Rhythm Romance. This version was Remastered by Acustico77.<-(Info taken from original info file).